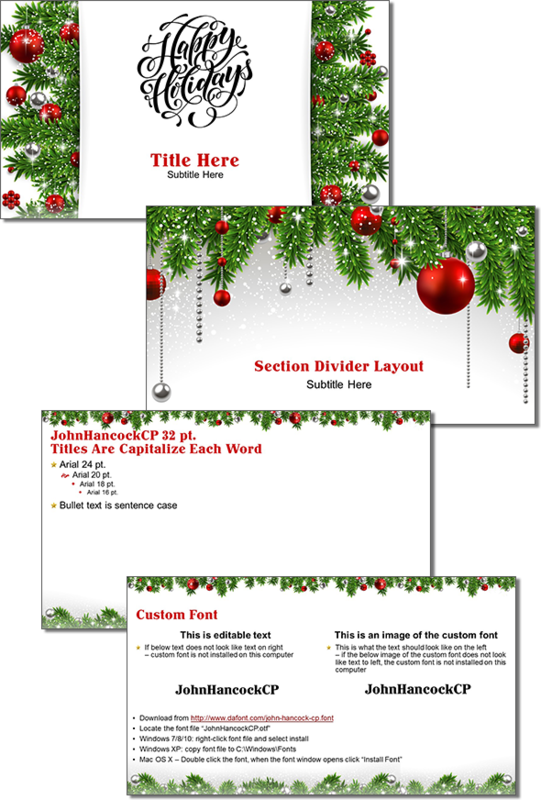 Many thanks to Amber on the TLC Creative design team for developing this festive Christmas Holiday themed PowerPoint template! Enjoy! Note: this template uses a custom font, slide 3 has instructions on how to install and a link to download the free font.